Foreign Secretary M Shahidul Haque has briefed foreign diplomats about the census on the Rohingyas. “We want to collect information about the undocumented Myanmar nationals residing in Bangladesh and that is why we conducted the census,” the foreign secretary told the Dhaka Tribune. The census process started last year and the preliminary data collection completed last week. The secretary said the diplomats were appreciative about the government initiative to collect information about undocumented Myanmar nationals. “We expect to get the final result of the census by November or December,” he said. The government with its own fund has taken the initiative to conduct the census to get a clear picture of how many undocumented Myanmar nationals are living in the country. He, however, said if any left out undocumented Myanmar national wanted to be included in the census, he or she could do so in the next two months. 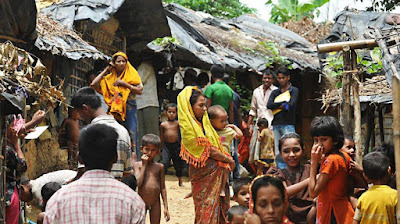 The Bangladesh Bureau of Statistics conducted the census in six districts – Cox’s Bazar, Chittagong, Patuakhali, Khagrachari, Bandarban and Rangamati. The BBS also made a presentation about the census before the diplomats to elaborate on the international standards it maintained while conducting the census. The secretary said the objective of the census was to know how many undocumented Myanmar nationals are living in Bangladesh. “But we do not have any intention of forcing them to go back to Myanmar,” he added. Another official of the foreign ministry seeking anonymity said the diplomats wanted to know about the future of the Rohingyas here and what the purpose of conducting the census was. The diplomats also expressed concern about left-out Rohingyas, the official said. “We told them BBS would wait another two months,” he said. About future plans, he said the government does not currently have any plans. After getting the final census report, it will prepare a future plan for the Rohingyas living in Bangladesh, he said. Bangladesh is actively engaged with Myanmar to send them back to their country. In the briefing, the foreign secretary also discussed the Global Forum on Migration and Development to be held in December in Dhaka.